Order in the next 5 hours 34 minutes for delivery on Thursday, April 25. For engraving, order in the next 4 hours 35 minutes for delivery on Thursday, April 25. 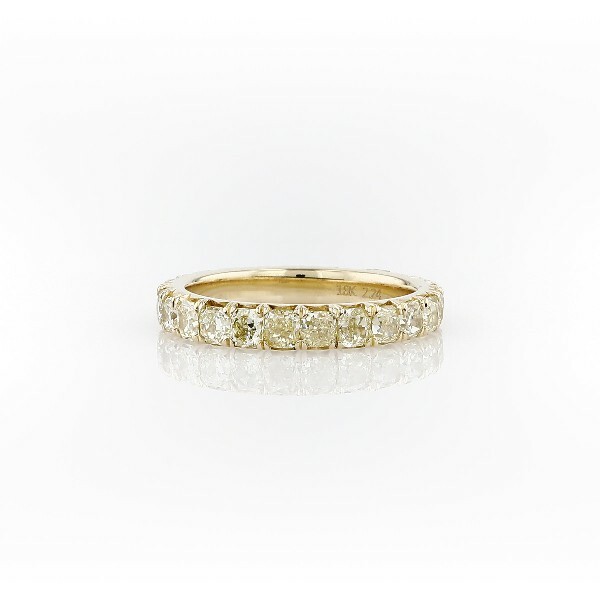 Escape the ordinary with this glamorous yellow diamond eternity ring. Crafted in 18k yellow gold, perfectly-matched radiant-cut yellow diamonds encircle your finger for a beguiling wedding or anniversary ring choice.